A feast for the senses awaits at The Well. 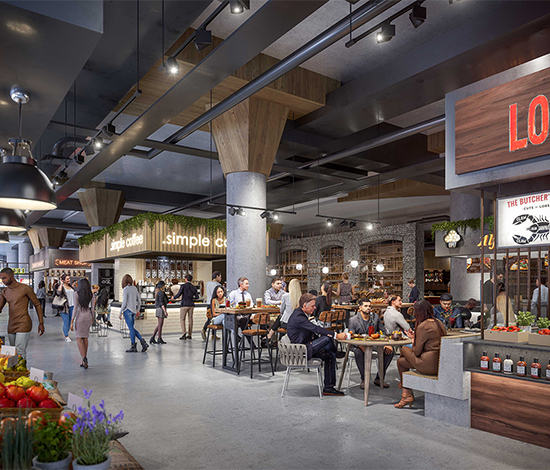 An enticing mix of fresh market fare, prepared foods, elevated fast casual and globally-inspired restaurants create a culinary experience that rivals must-visit eateries around the world. Discover a truly unique culinary world dedicated to food shopping, discovery, learning and tasting. The 95,000 sq. ft. old-world inspired food market will be brimming with market fare, prepared foods and elevated fast casual options. Imagine a lively entertainment area featuring culinary events, special retailers and engaging experiences that celebrate the art and enjoyment of food. The Well’s restaurant row brings together renowned chefs and globally-inspired flavours to create new and unforgettable dining experiences to tempt every palate. Take a seat and enjoy masterfully-planned food offerings inspired by the international flair of culinary innovation. 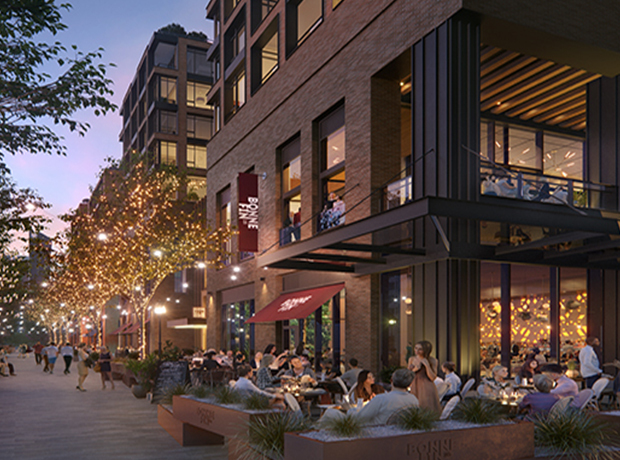 Offering both small and large floorplans, The Well will be able to accommodate a broad range of tenants, from international anchor stores and first-to-market retailers to cutting edge restaurateurs, creating a unique and dynamic leisure experience.